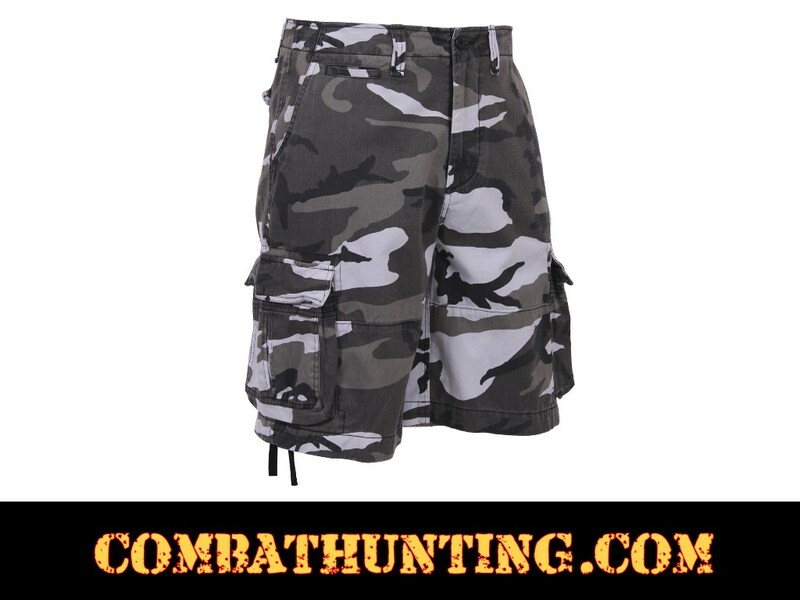 Rothco Vintage City Camo Infantry Utility Shorts are made with a rugged heavyweight washed cotton fabric. 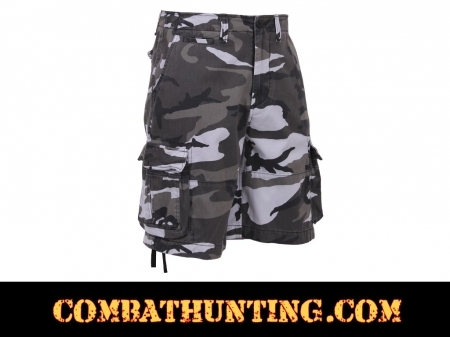 The mens military cargo shorts feature a french zipper fly, button waist, inside drawstrings, 6 pockets, 2 front slash pockets, 2 rear button pockets, 2 pleated side cargo pocket shorts, change pocket, and drawstring legs. Rothco's Infantry Cargo shorts have a relaxed fit, extra-long length with a distressed detail that gives it an authentic vintage look.